It’s the car for all seasons and reasons. Does familiarity really breed indifference? 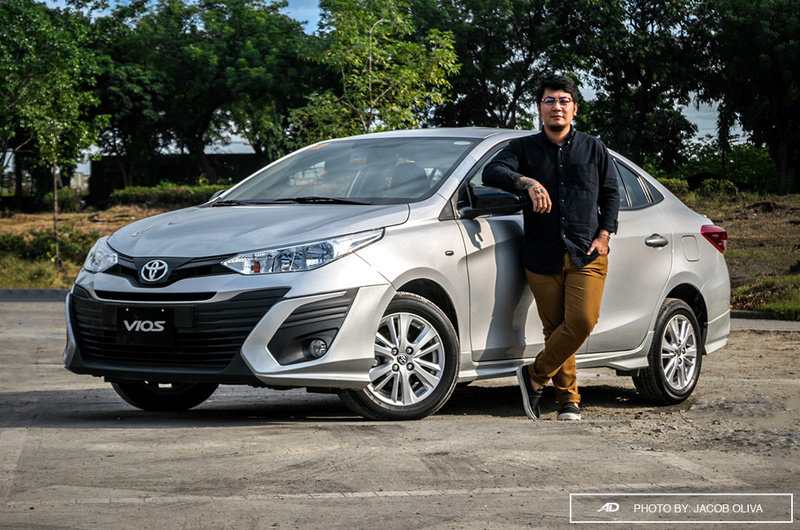 We can’t deny the fact that the Toyota Vios is the most seen vehicle on the road for the past decade – whether as a fleet car, a taxi, a ride-sharing vehicle, or a private car. 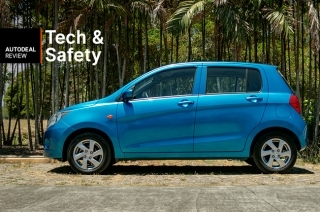 Complete safety package down to the base trim. Needs better light setup (LED, please?) to match the kits. 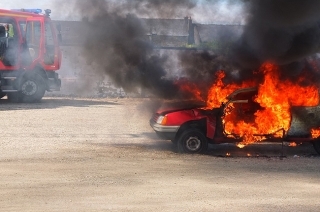 No speed-sensing door locks and immobilizer. 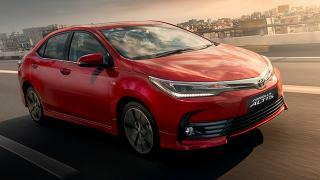 That’s why putting up a review of the 2019 Vios is a little bit unsettling for me, because everyone knows about it, everyone has probably ridden one, and my opinion won’t possibly matter anymore. 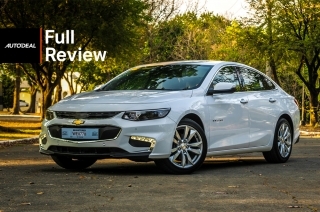 Admit it, people will buy the car, no matter what our review says about it. 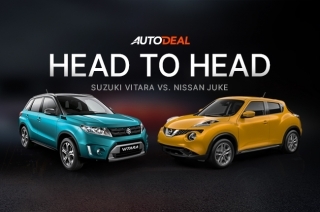 It’s the car for all seasons and reasons, and Ate Vi would be proud. 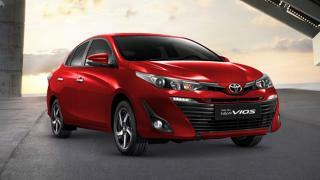 But, then again, here’s something for those who want to know what the new Vios is all about. Read along. 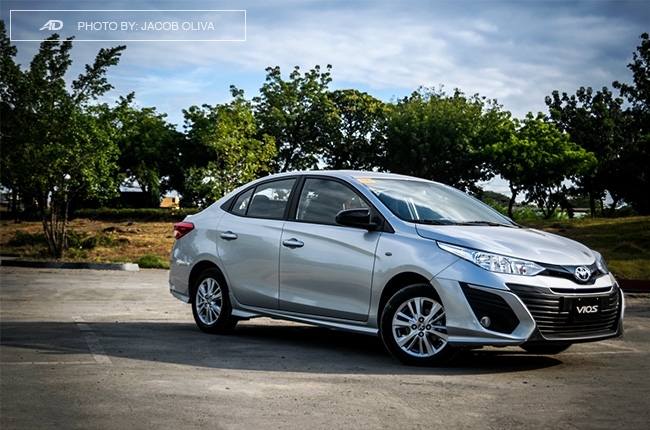 The one that Toyota lent us for this review is the Vios 1.3 E Prime CVT variant. 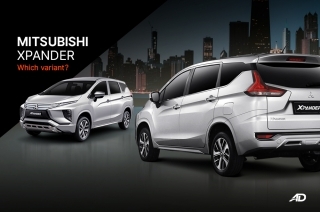 That last bit in the moniker is the newest yet, and it comes with a lot of things altered in its exterior design. 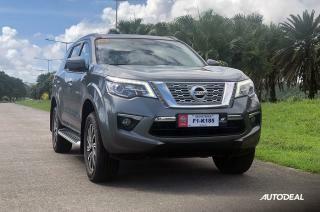 Sitting atop the 1.3 range, the E Prime gets all the bells and whistles without crossing the boundaries of the G trims. 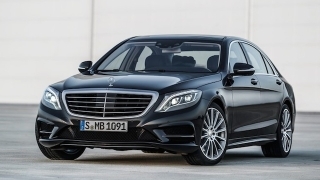 As such, it has the four-beam halogens, bulb-type taillights, piano black side mirrors, 15-inch alloys, and color-keyed door handles. 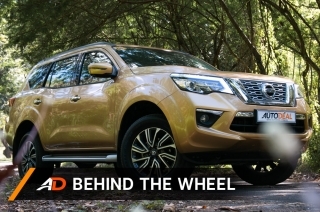 What makes the Prime distinct from the range is its fascia that houses the large fog lamp casings. It’s also a bit dressed up, donning a set of side, front bumper, and rear bumper skirts, along with a rear spoiler. So for those who wanted to dress up their own car, this variant isn’t for you. 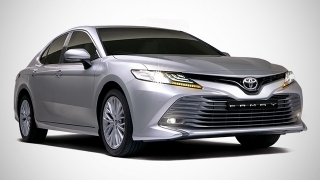 Personally, I would have preferred at least some LED guide lights and mirror-integrated turning lights to match the dress up, but this one employed by Toyota is in the middle – not too flashy, not too timid. Just right. 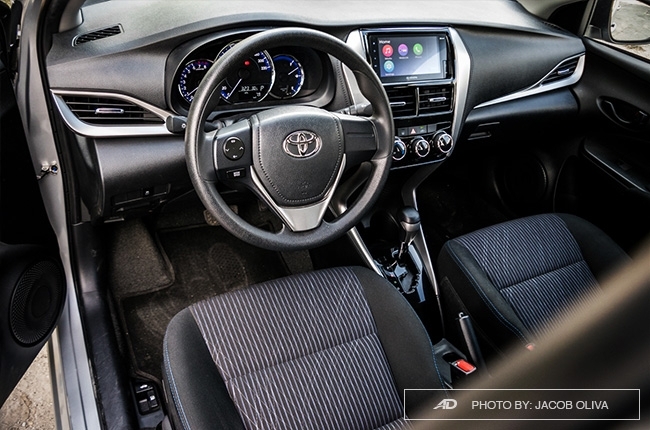 Inside, the Vios E Prime is very similar to what the hatchback brother, the Yaris E, has. In fact, it’s too similar, it felt like I’ve been inside this cabin before. The open, spacious cabin is there, partnered with easy-to-use and clustered controls, make for a clean non-intimidating appeal. 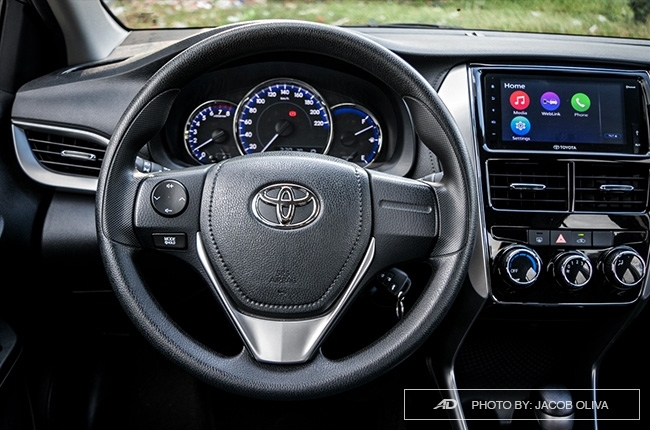 However, my complains with the Yaris are also apparent in the Vios, such as the non-telescopic steering wheel, the deep cup holders, and the tiny center console box that can't be used as an elbow-rest. 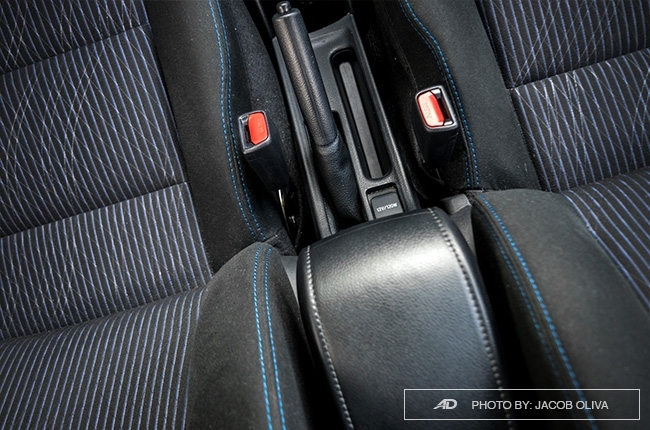 But the fabric-clad seats are soft, so there’s that; you just need to be careful with dust, lint, and other stains. At the back, there’s not much to play around with except for the bottle holders by the doors. Rear legroom and headroom is plenty for me who’s standing 5’6”, while the lack of a transmission tunnel on the floor accounts for an added roominess. 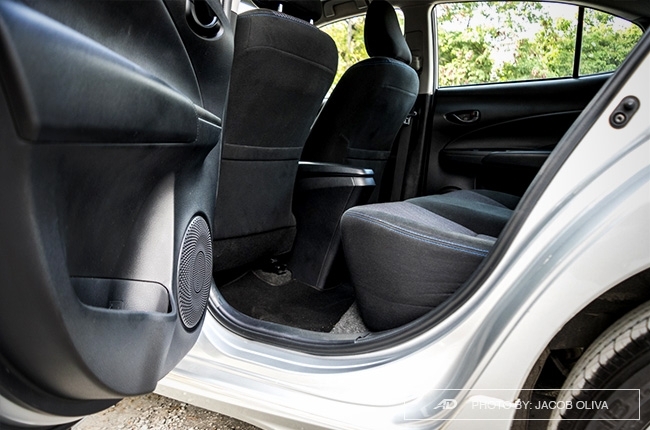 Trunk space is the same as before, enough for one standard-sized child stroller and two weeks worth of groceries. 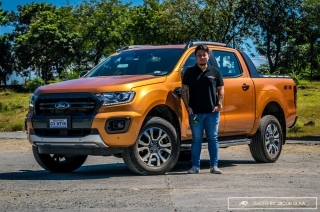 Ride comfort has been greatly improved and definitely one of its strengths, having the ability to absorb road imperfections without afflicting the impact to the occupants. Cabin noise isolation, on the other hand, is superb on any road surface. 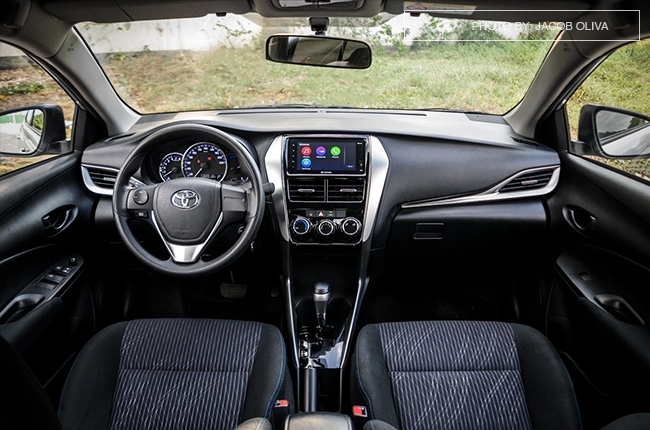 There are not so much high-tech features inside the Vios E, except for the seven-inch capacitive touchscreen with Bluetooth connectivity. 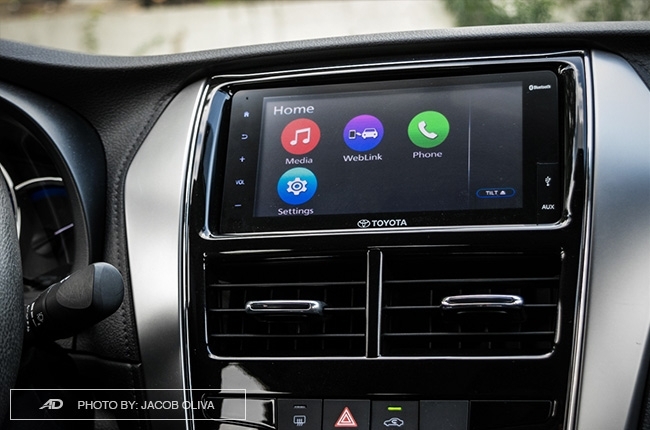 Handsfree phone calls are crisp and clear as tested, as is playing music via its intuitive and seamless connection. Just like the one in the Rush, Apple users have the luxury to connect their phones via USB to listen to tunes. There’s a power socket, too, but it’s oddly placed behind the handbrake lever. 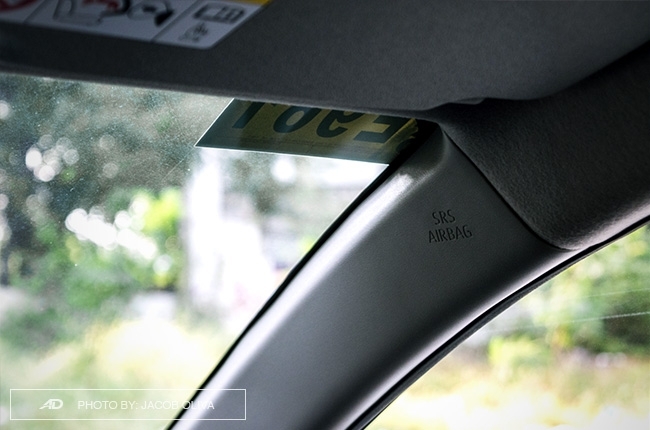 You have to do most things manually inside the Vios, except for the power-adjustable side mirrors (not power-folding) and auto-down driver’s window. 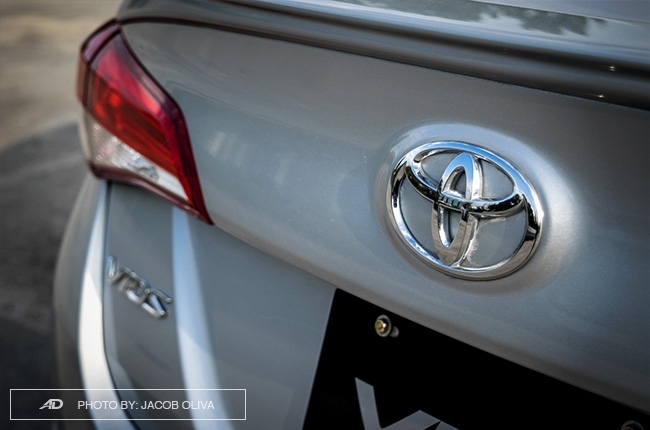 This day and age, though, the Vios could be better with speed-sensing door locks for added passive security. 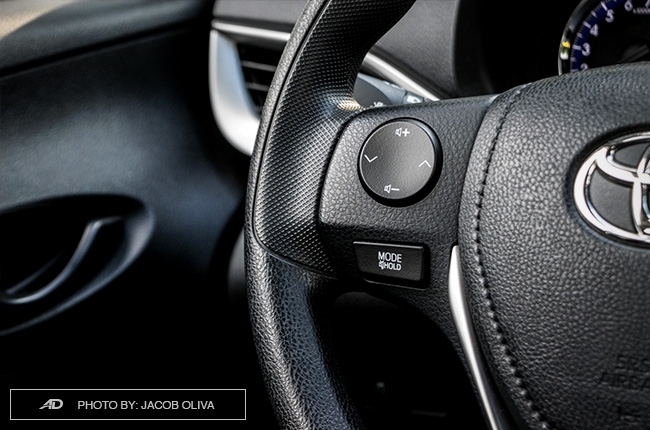 There’s no push-button start as well, but that’s fine; the trunk can be opened via the remote, by the way. 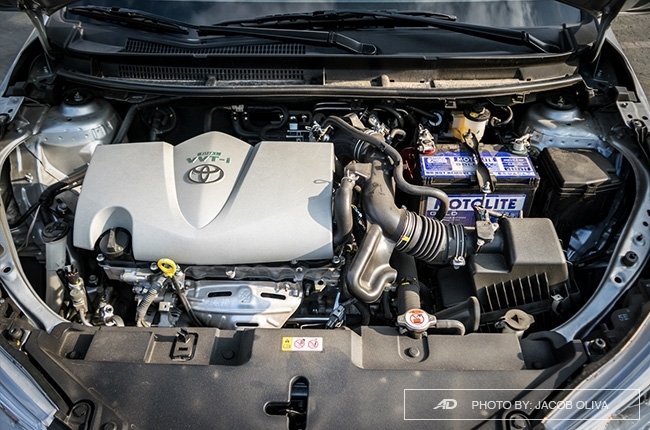 Under the Vios E Prime’s hood is a carry-over 1.3-liter 1NR-FE engine from its predecessor. 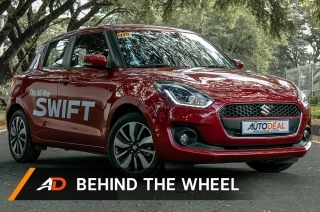 It produces a decent 98 hp and 123 Nm of torque and is paired up with a continuously variable transmission (CVT). 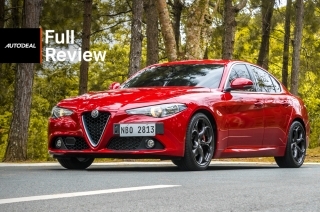 As such, don’t expect a fast and spirited drive with this car. 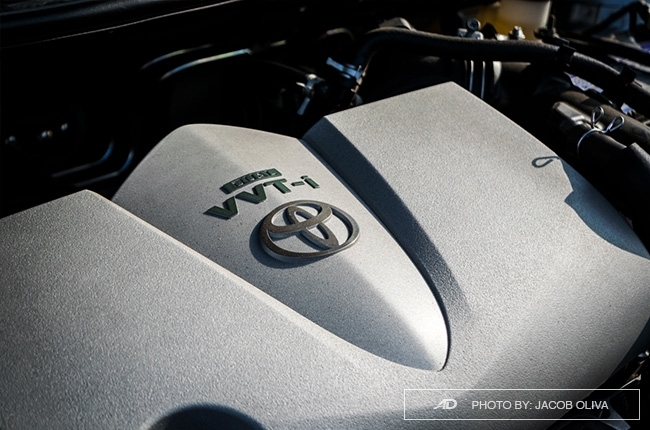 The “rubber band” effect of the CVT is still apparent in the Vios but it’s not annoying at all. 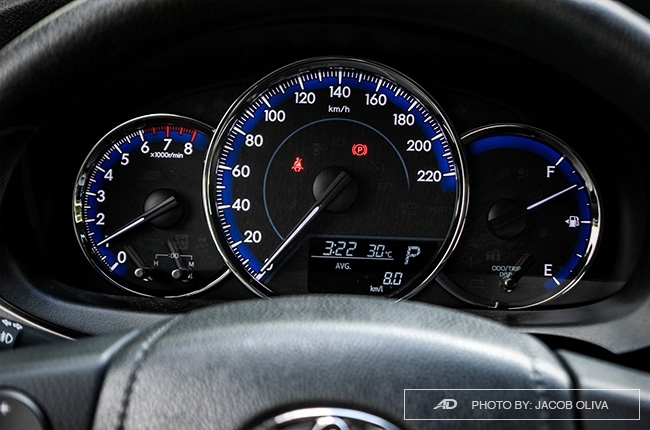 It’s eager to move forward from a standstill, but changing speeds is noticeably confusing for the car since the CVT struggles to match the accelerator input. The car could reach speed limits at its own pace but it would take time to do so especially when it’s loaded with passengers. 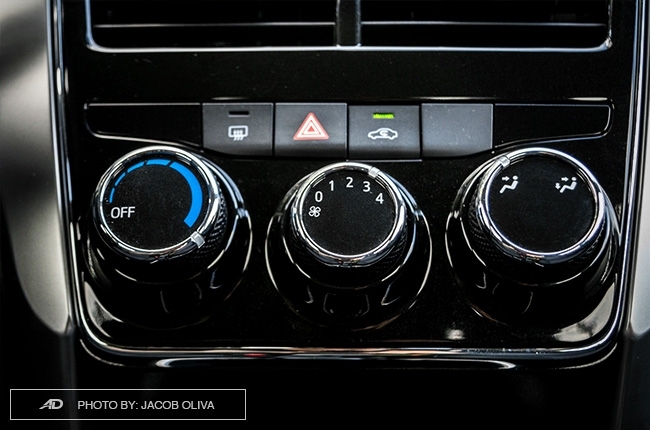 There are no paddle shifters you can use to toggle the transmission manually, but you can do so via the +/- by the gear-shifter. 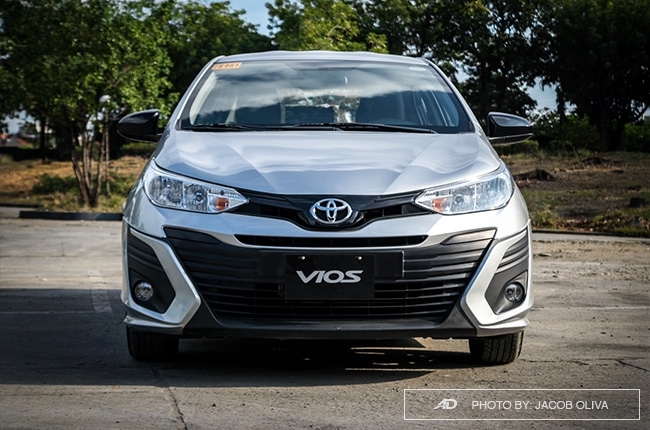 What’s commendable with the Vios is its handling. Sure, there’s understeer at corners which could make you work harder in twisties, but the weight employed on the steering wheel made highway cruising planted, composed, and stable. 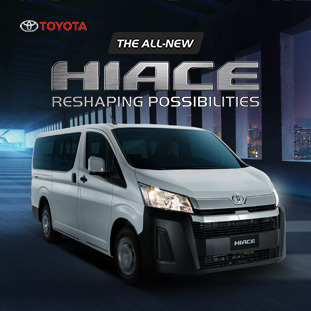 It’s also easy to maneuver the vehicle even within tight spots and the absence of sensors. Body roll is naturally present, but minimal, especially at speeds. 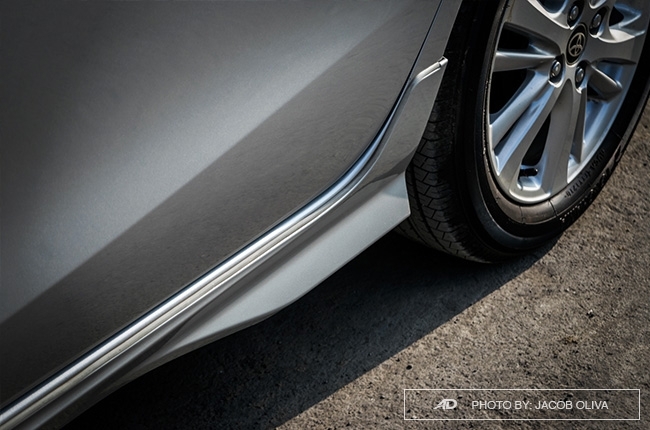 Just the same as the Rush and Yaris, the Vios comes with a complete set of safety package for the whole range, even down to the base trim. 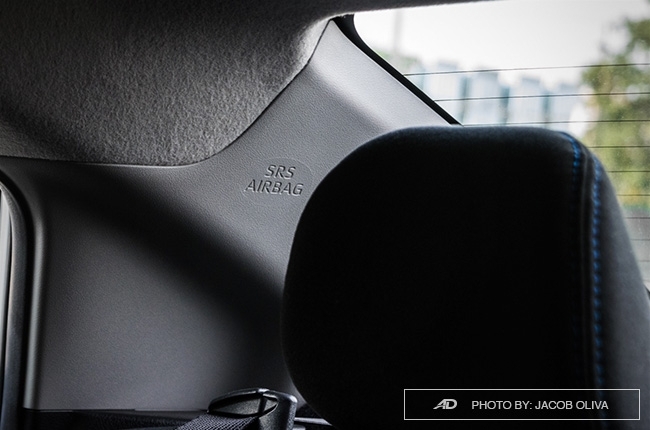 These include seven airbags (yes, seven! 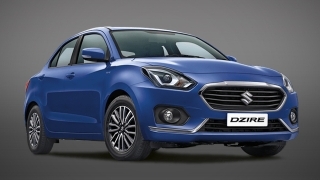 ), vehicle stability control, ABD with EBD, seatbelts, ISOFIX child seat tethers, and high-mount stop lamp. 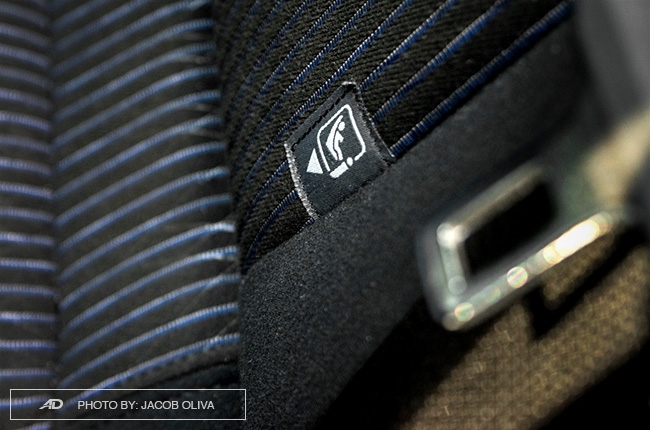 The seatbelts also have an audible reminder for the front occupants, so good luck not using yours. 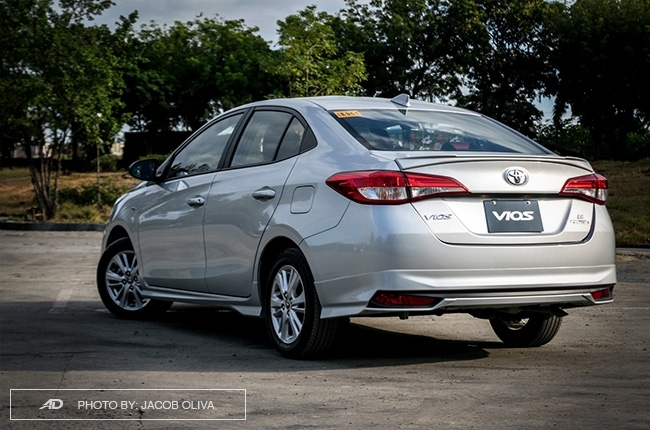 The Vios is also armed with theft alarm but not with immobilizers. Kind of odd, but it is what it is. 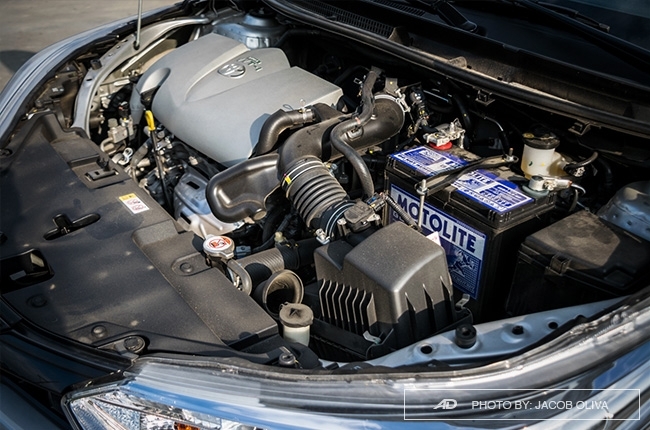 As the Vios E Prime runs on a 1.3-liter mill, fuel efficiency is one of its gifts. An hour running at an average speed of 90 km/h returned 22.3 km/L, while spending the same time in heavy traffic read back 10.2 km/L. 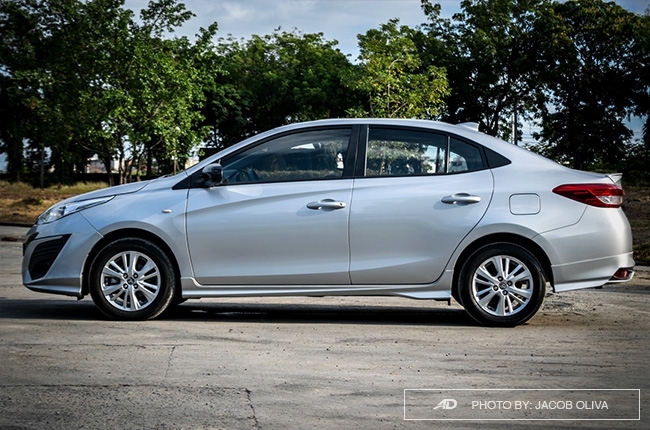 Faster paces at around 60 km/h on a Sunday read 14.2 km/L. 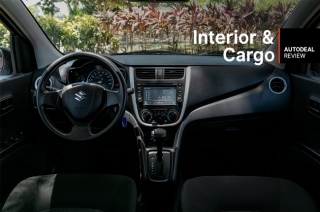 Take note that these fuel economy figures were taken with only one occupant inside the car without any cargo. Yes, familiarity indeed breeds indifference. 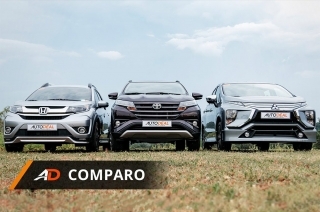 But in the case of the Vios, love it or hate it, the new face of the Prime variants could somehow differentiate the fleet car from the private owners, but with the same proven reliability and a host of complete safety package. 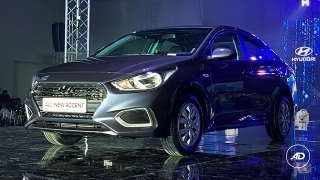 At P933,000, a slightly higher price tag than the non-Prime variants (minus P55,000), the 1.3 E Prime is your ticket if you want a Vios but doesn’t want to be hailed by a stranger. 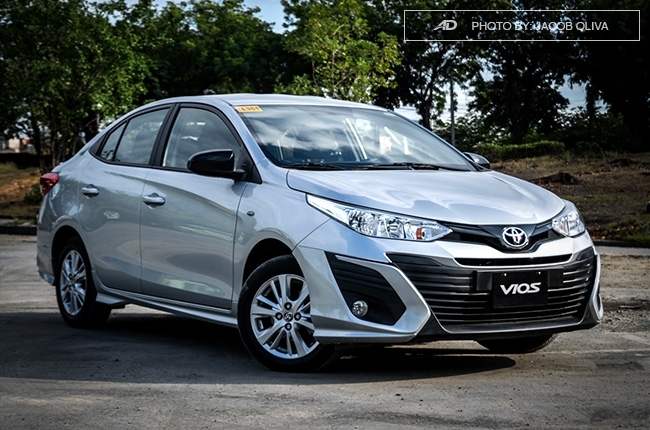 But of course, as a best-seller, it will only take a matter of time before people start to become indifferent with the 2019 Vios, even with the Prime. 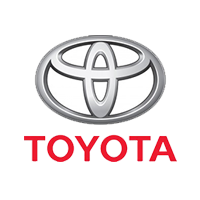 And that will always be a good thing, especially for Toyota. Kaching! 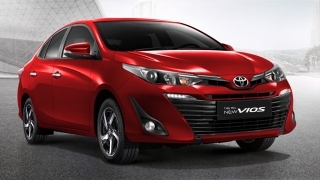 Hi, I would like to receive a financing quote for the Toyota Vios 1.3 E Prime CVT, thank you.